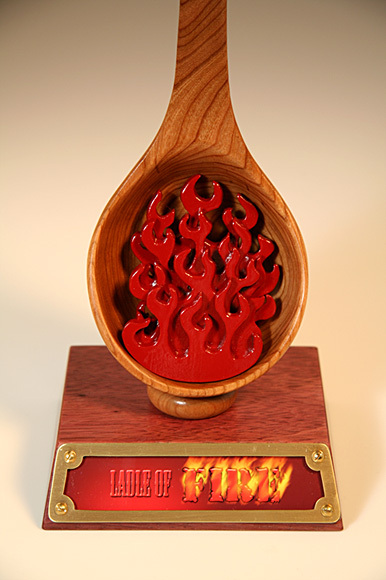 Here you can see the detail of the flames and the framed trophy title (photo-quality print). The purple heart is still too freshly cut to have the deep purple that it will attain. Cherry, purple heart, brass, plexiglass, hardboard, brass, paint. 14.5 x 5 x 5.5. NFS.